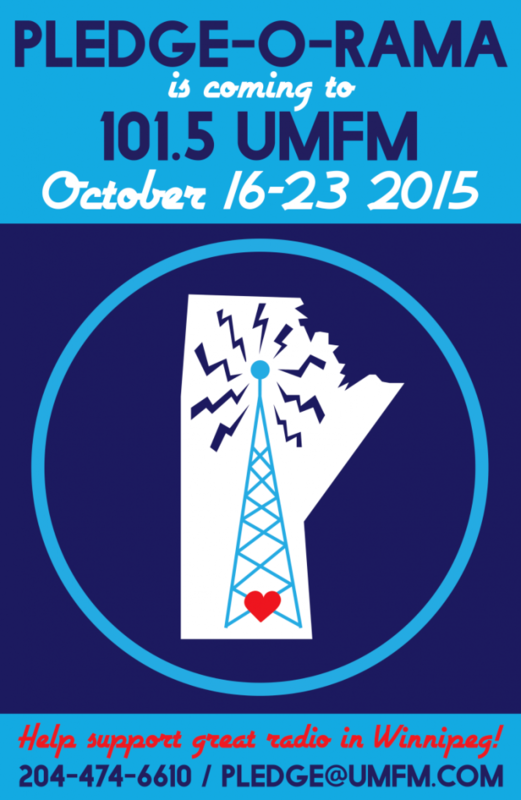 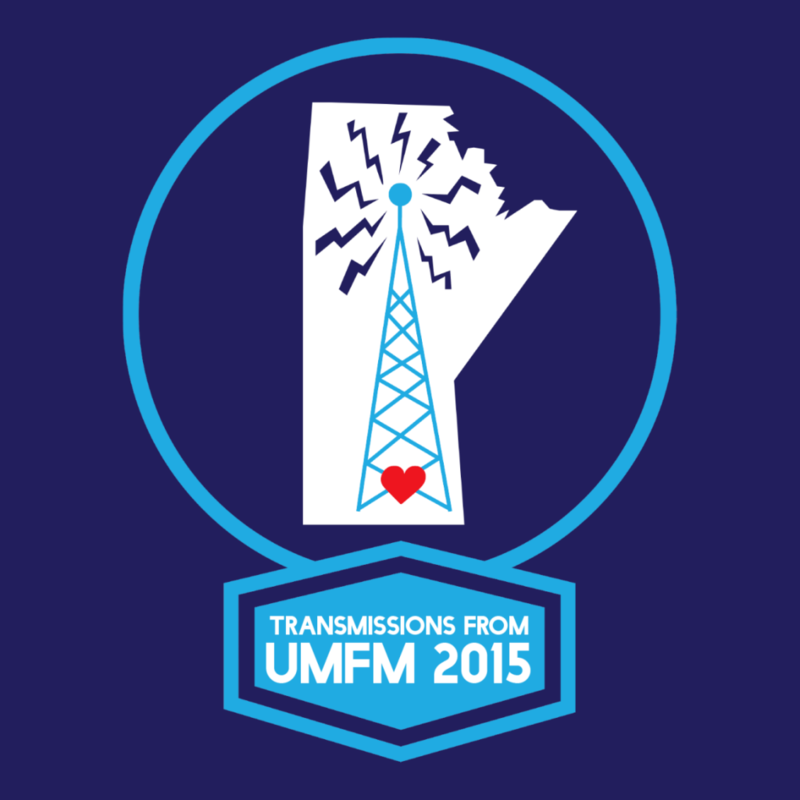 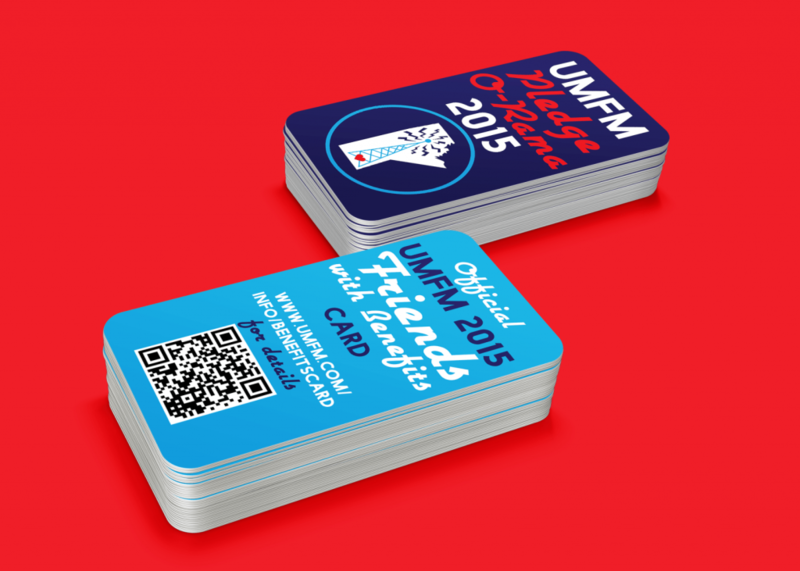 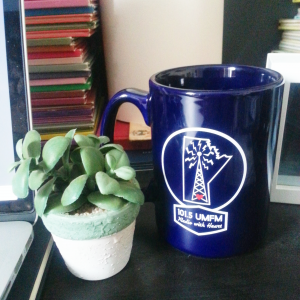 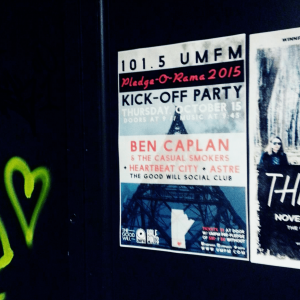 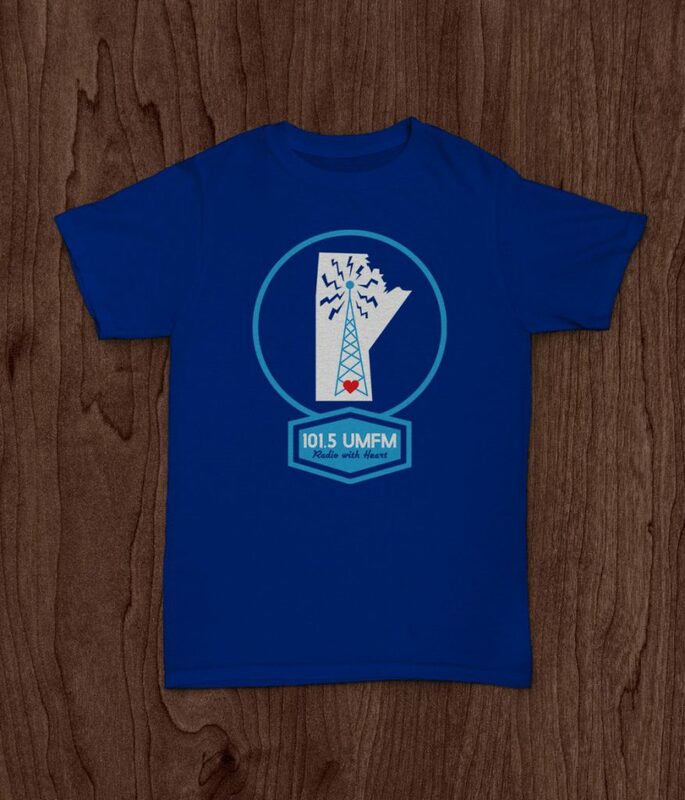 Full branding project commissioned for UMFM’s Pledge-O-Rama 2015 campaign, including logo design, posters, tickets, ‘Friends With Benefits’ cards, mailers, shirts, mugs, CD packaging, social media content, and more. 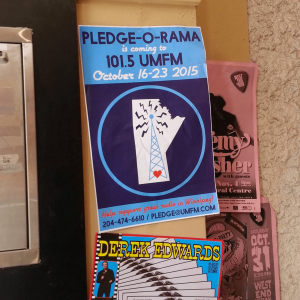 Posters and social media content were used to promote and advertise Pledge-O-Rama, and promotional items were sent out to the donors who pledged. 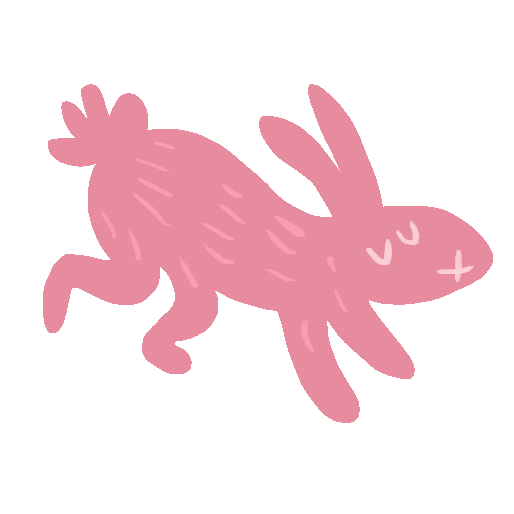 Various formats.